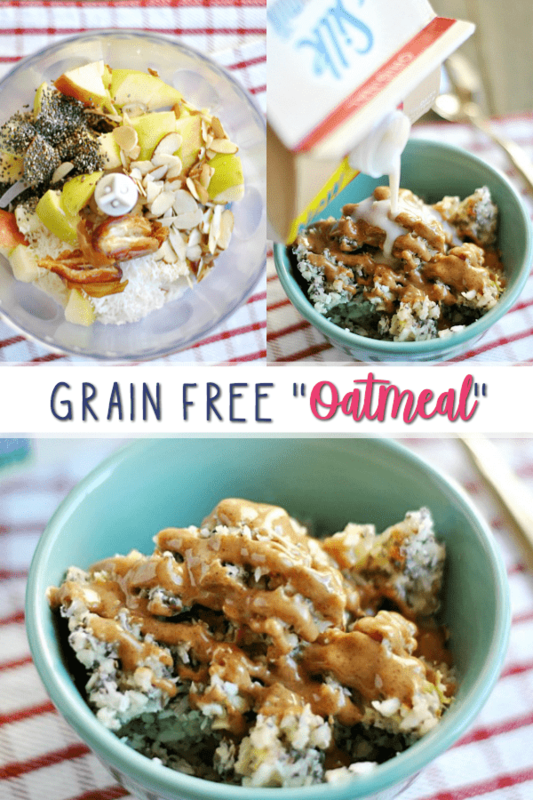 Seriously delicious grain free (Whole 30) “oatmeal.” You’ll want to try this healthy bowl whether you’re avoiding grains or not! This recipe probably seems horribly out of place smack dab in the middle of the holidays amid the recipes for fudge, truffles, and Christmas cookies! Have no fear– plenty of those are around the corner, I promise. But after a weekend of serious Thanksgiving feasting and junk food snacking (at least that’s how it was for me), I thought we could possibly all use a quick little detour to something more on the healthy side. Although don’t be fooled by its wholesome appearance– this bowl of goodness lacks nothing in the taste department! In fact, it’s so good that I make this recipe frequently for my own meals and snacks, despite the fact that I have no problem with eating actual oatmeal (the grain kind ;). I’m not on any special kind of diet at all, as a matter of fact– grain-free or otherwise. But this “oatmeal” is so delicious that I can’t remember the last time I’ve eaten regular oatmeal over this version! 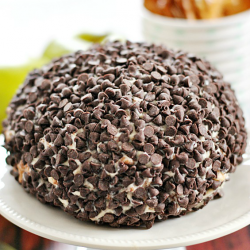 It’s sweet and a little crunchy, and it’s full of wonderful, wholesome foods that are great for your body. I got this recipe from my friend Shanna (she posts healthy eating tips on her Instagram feed @realistically_nutritious), who was doing Whole 30 at the time. So for those of you who are doing Whole 30 or have similar eating styles, this is the perfect way to satisfy your sweet tooth while staying compliant! I also love that it’s so easy to make. Simply place most of the ingredients into the food processor (an apple, a date, coconut, almonds, and chia seeds), and pulse the mixture until it looks…. well, like oatmeal! 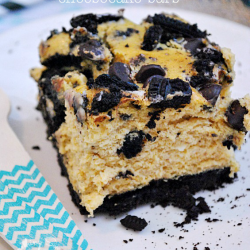 Add add a dollop (or a drizzle ;) of almond butter, annnnnnnnnd………. …a splash of milk! I’ve used almond milk in the past, and it works just fine. But lately I’ve been really into Silk Cashew Milk. 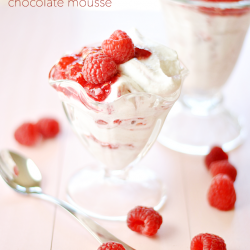 It’s extra creamy, which is perfect in this recipe! After you mix together the “oats” and the almond butter, the mixture sort of absorbs the milk, and it becomes soft and oatmeal-like (except for the bits of almond, which stay deliciously crunchy). And as an added bonus– besides making the “oatmeal” lusciously creamy, I love that the Silk Cashew Milk also keeps the calorie count down… so I can pile on the almond butter without too much guilt. YUM! Whether you’re on a special diet or not, I hope you give this crunchy, creamy, sweet, NUTRITIOUS recipe a try! I promise, you’re going to love it. Like, love it love it. 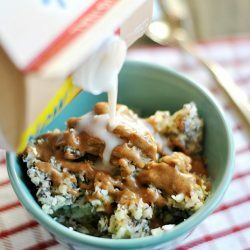 Seriously delicious grain free oatmeal. 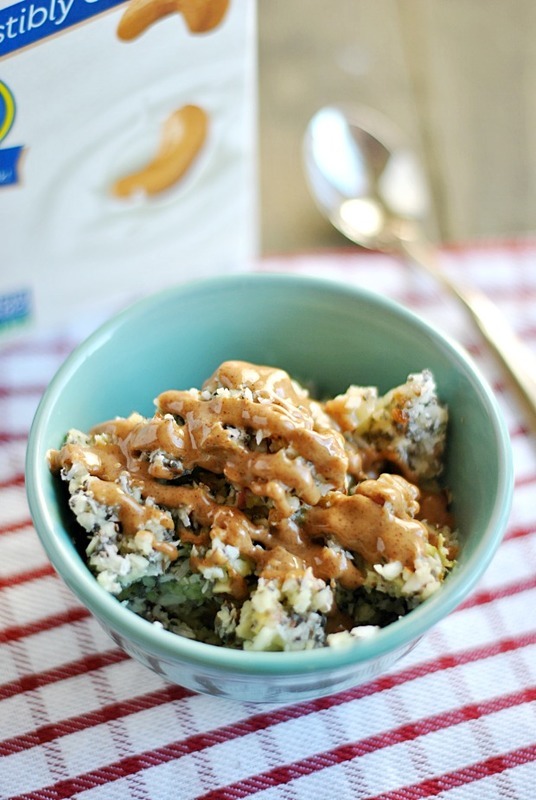 You'll want to try this healthy bowl whether your avoiding grains or not! Cut the apple and the date into small pieces* (they don't need to be teeny-tiny, just a quick chop will do), and place them in a small food processor. Add the chia seeds, coconut, and almonds. Pulse mixture until grainy and oatmeal-like. 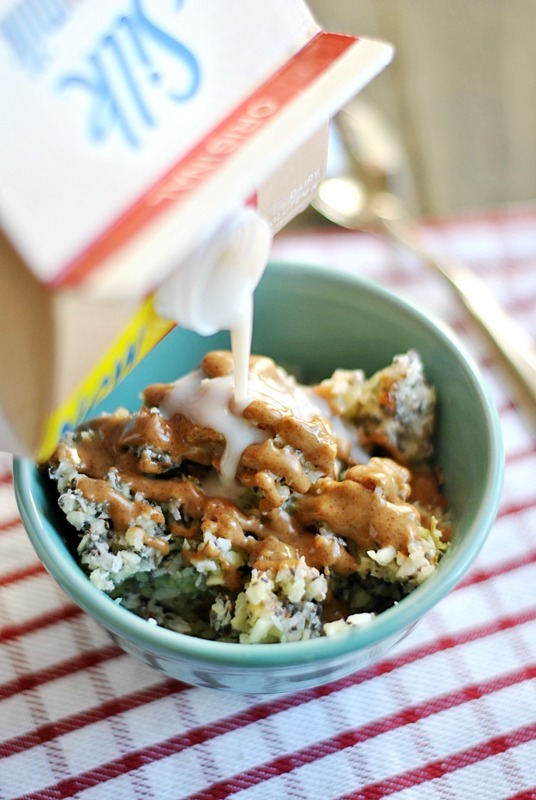 Spoon the mixture into a bowl and top with almond butter and milk. Stir together and eat! *You don't HAVE to do this, since you'll be putting the ingredients into a food processor after all. But I have a weird thing with certain textures, and I can't STAND having large chunks of dates in this recipe. Giving the date a quick, rough chop before the food processor allows the date to be finely chopped in processing without over-processing the rest of the ingredients. Note: a serving of this recipe may not look like a big enough portion at first glanced, but I'm surprised each and every time I make it by how filling and satisfying one, small portion is! Be sure to sign up at silk.com/signup to get the Silk eNewsletter with latest news and an instant coupon! 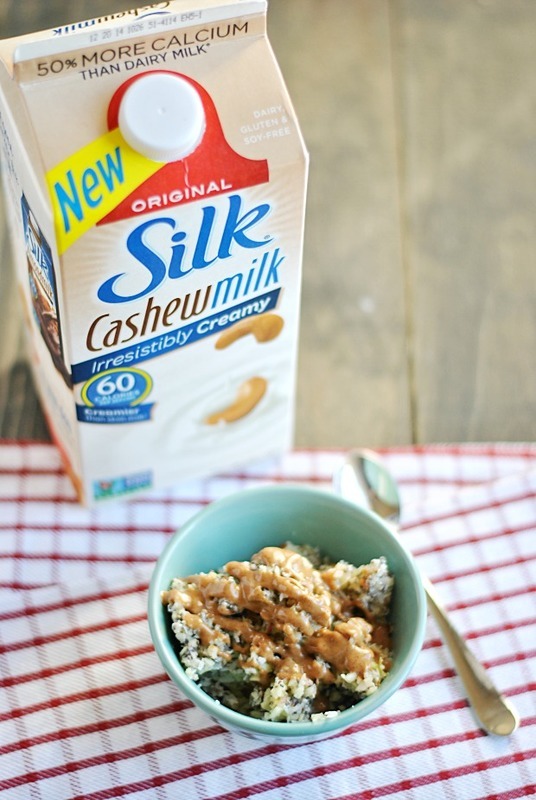 And be sure to stop by the Silk Facebook page to let them know what you think about their brand new Cashew Milk!